Beach houses with bay views like this one are hard to come by on Fire Island. 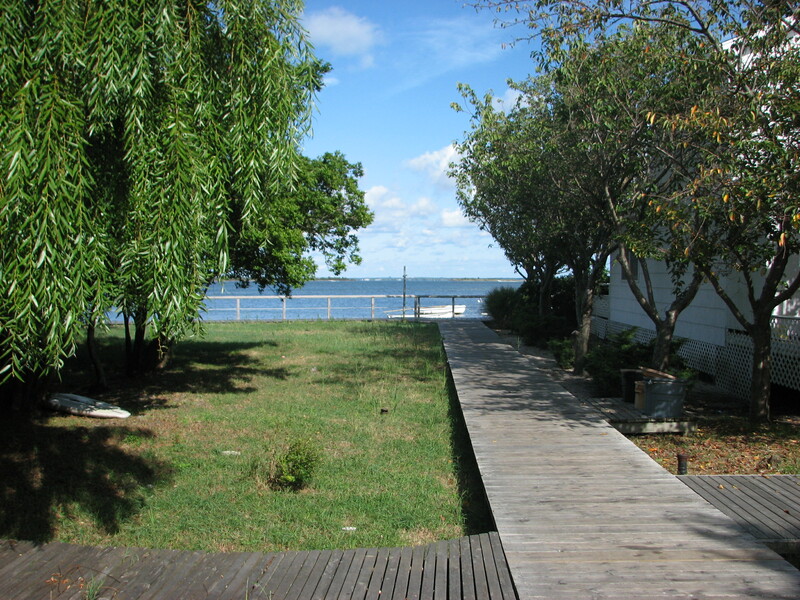 This 3 bed 1 bath spacious cottage is located on a lovely property overlooking the great south bay. Relax on the front porch and watch the boats go by or hang out on the secluded rear deck. The kitchen/living room is an open layout and gets great sunlight shining through the vaulted ceiling skylights. The 3 bedrooms are tucked away in the back and all are generously sized with closets. The bathroom is large and has an access door making it easy to go in right off the beach. This beach house is conveniently located close to town and the ferry while also being a short walk to the beach. This great home will be shown by appointment only.